Japan Technology has quickly established themselves as one of the leading manufacturers of high end offstring yo-yos. This is one of their newest models and, in our opinion, one of the best playing! The Japan Tech Another Eagle! Based off of their higher end model, the Eagle Eye, Another Eagle is a serious competitor. It is molded instead of machined, but the mold was actually created from a machined delrin Eagle Eye so it has a really unique feel to it! And since it is molded it is definitely a more affordable price point! The Another Eagle has a really nice wide catch zone to help with those complex slacks and lacerations and amazing weight distribution that makes it really easy to maneuver. It is much lighter than some offstring yo-yos but it just feels right with the shape. The light weight makes the Another Eagle ideal for regeneration combos and those extra fast tech tricks. 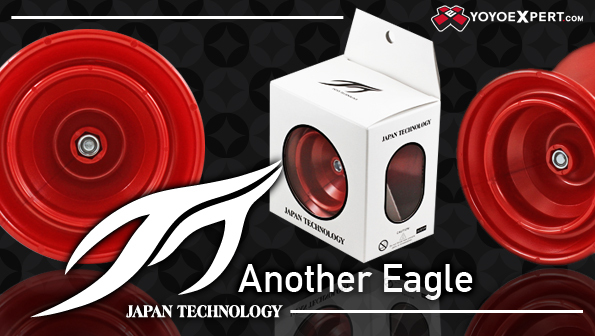 The Japan Tech Another Eagle has the feel and performance of a high end machined plastic without the cost, pick one up today and feel the Japan Technology difference!